Life is more fun on wheels! Visit our family oriented entertainment facility for the fun and fitness of rollerskating with friends and family. 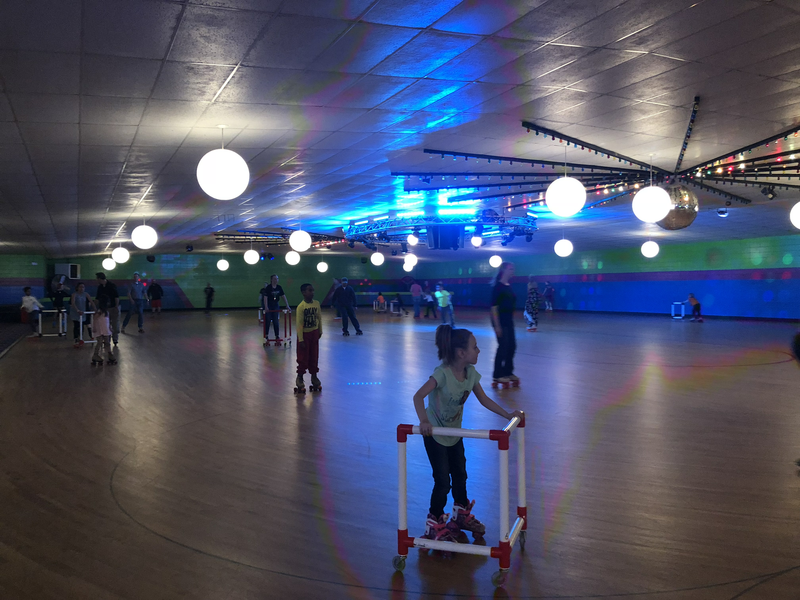 We feature a wooden skating floor with quad and inline skate rental available. Visit our snack bar for reasonably priced treats, and play in our arcade for tickets to redeem for prizes in our stuff shop! Public skating, easy and affordable birthday parties, and private parties available.